Tenjat lives on the shores of Hell, an ocean filled with ravenous naga monsters. His island, a massive Turtle, is slowed by the people living on its back. Only those poor enough to need children to support themselves in old age condescend to the shame of marriage. Tenjat is poor as poor gets, but he has a plan. Can Tenjat discover his sister’s secrets in time? Will the possibility of love derail all his plans for a richer, marriage-free life? Long-held secrets will at last be revealed in this breathtaking debut from M. K. Hutchins. Drift had a long revision process. I started writing it back around 2005, while attending my first semesters of college. Originally it was a novella, but it stank at that length. Everything felt rushed and undeveloped. I tossed it in a drawer. In 2008, I extended a different novella into a novel. 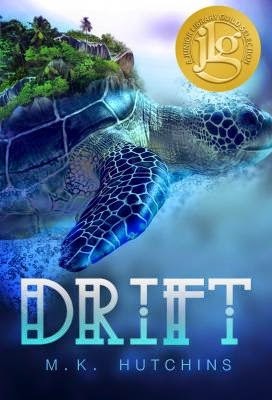 I thought back to Drift, which, in truth, was more like notes about a story than a story itself. I expanded it, too. But it still smelled funny. So I kept writing other books, occasionally looking back. Some things that had given me a headache were easy to fix after all that extra experience. Other problems stubbornly remained. I fixed what I could, got more critiques, and revised again. Come 2011, I knew the book was the best my skills could currently make it. I’d heard Stacy Whitman speak at a conference, thought she might be a good match for the book, and sent it straight to her. She sent me back a revision letter. I’ve heard all the horror stories about revision letters, but for me, it was like Christmas. I could finally see those elusive weak spots in the manuscript. Armed with that knowledge, I enthusiastically brainstormed solutions to the point that I was getting up every hour in the middle of the night to jot down notes (my husband did not sleep well). During the rounds of revision, Stacy said something that surprised me: she called my book ambitious. 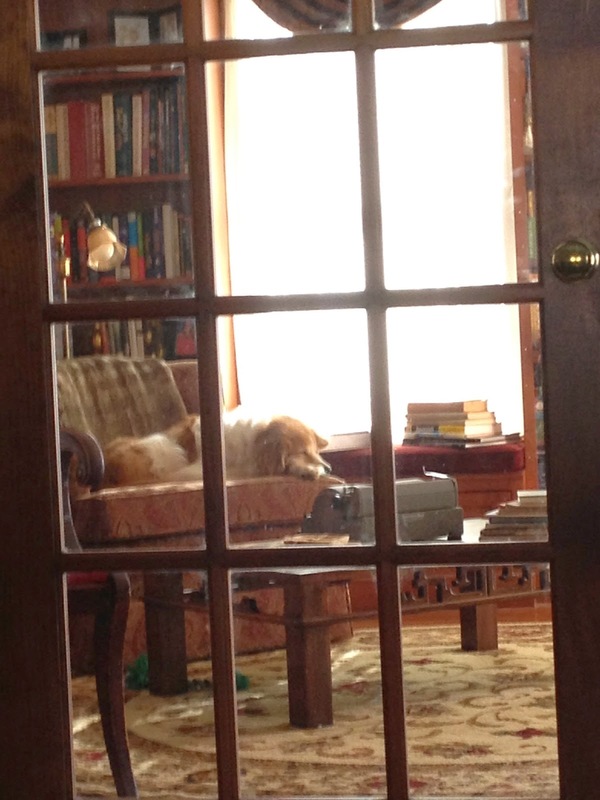 When I blinked at her, she continued, talking about the worldbuilding. It never occurred to me that it took so long to get this book right, not because I was just slow and determined to succeed via mule-like stubbornness alone, but because I was trying to throw the reader into a different secondary world fantasy while telling a story and making it all feel effortless on the reader’s part. I had two big take-aways from all of this. First, that I need lots readers and critiquers. I need people to tell me when my worldbuilding is opaque, when it is clumsy, and when I’d managed the details just right so it flowed off the page. I am not the kind of writer that can write well in a vacuum, isolated from feedback. I wish I’d figured that out a lot sooner. For me, a good critique helps me see the flaws in a manuscript better than rereading it a half-dozen times. Secondly, the people that you work with in this industry matters. There are lots of talented editors, but Stacy also understood what I wanted to do with this book. I didn’t dread my revision letters. All the things she pointed out or suggested made my book cleaner and stronger -- more the story that I’d been trying to tell all along. As a fantasy writer, how did you go about building your world? In high school, I noticed that a lot of my childhood favorites didn’t study writing -- they were experts in some other area. Thanks to Tolkien, I was already fascinated by anthropology and linguistics. 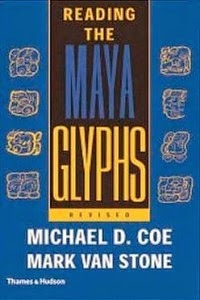 Yes, I was the nerdy kind of teen that checked out Anthro 101 textbooks from the local library and devoured Reading the Maya Glyphs by Michael D. Coe and Mark Van Stone (Thames & Hudson, 2001) for fun. After I graduated high school, I went to college and studied archaeology. Drift came from day-dreaming-thinking during my classes. Maya cosmology, especially the idea of the world being on the back of a turtle surrounded by a watery hell, struck me. That image mingled with ideas of burial practices and economic pressures. Soon, I had a world that both physically and culturally felt round and real to me. I often hear people say that fantasy doesn’t require research. I feel the exact opposite. To create a new world, I need to know as much as I can about the world around me. Recently, I had a friend talk about trying out new, hard things -- not just coasting by on the talents and skills she already had -- to teach her children that new, hard things are worth doing. I chewed on that for days. Since college, I hadn’t really delved into a new discipline. I’d kept reading in my comfort zone. Both as a mom and a writer, I realized I could benefit from branching out. So I jumped off the deep end and enrolled in a Coursera programming class (Coursera is free, online, and amazing). It’s been rewarding to explore a strange, new world. I don’t know if what I’ve learned will ever turn up in a story (okay, who am I kidding; it almost certainly will), but I figure everything I learn goes towards my education as a wourldbuilder and a writer of fantasy. 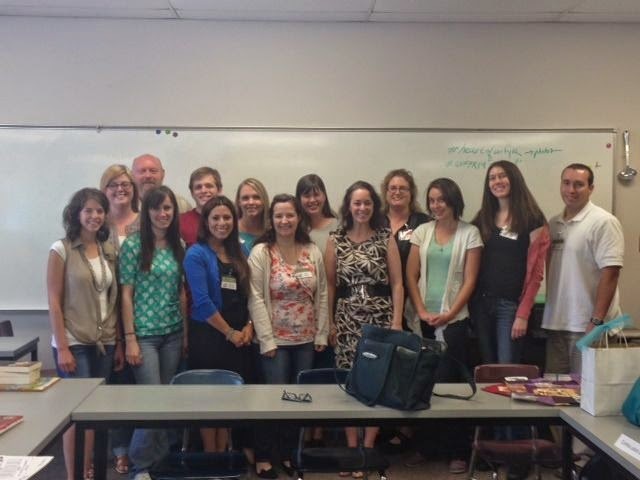 Get It Write This Summer from Nerdy Chicks Rule Summer School 2014. 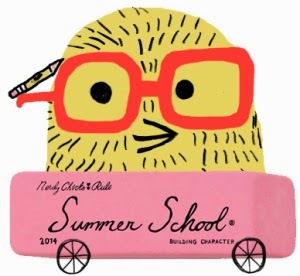 Peek: "Kidlit Summer School is a four week writer’s workshop that will run from July 21 through August 15. Because we (Kami (Kinard) and Sudipta (Bardhan-Quallen)) both enjoy teaching writing classes, we wanted to find a way to offer craft-based writing advice on a particular topic each summer. Our 2014 course is going to focus on writing great characters." Saying Something Simple by Mary Kole from Kidlit.com. Peek: "Why do we have to twist ourselves into sentence pretzels and dive into the thesaurus to turn out a description that’s unlike any anyone has ever written?" Speech! Speech! by Varian Johnson from Quirk & Quill. Peek: "Whether it’s for the Newbery, Printz, Boston Globe-Horn, or whatever, I love hearing authors talk about their process, or why they were drawn to write a book, or how, even with past success, each new book has its own traps and pitfalls." Four Characteristics of Author Attitude and Why You Need Them by Nina Amir from Writer Unboxed. Peek: "I have created an acronym to help you remember the four characteristics of Author Attitude. The acronym spells a word that recently has come into common culture: WOOT!" 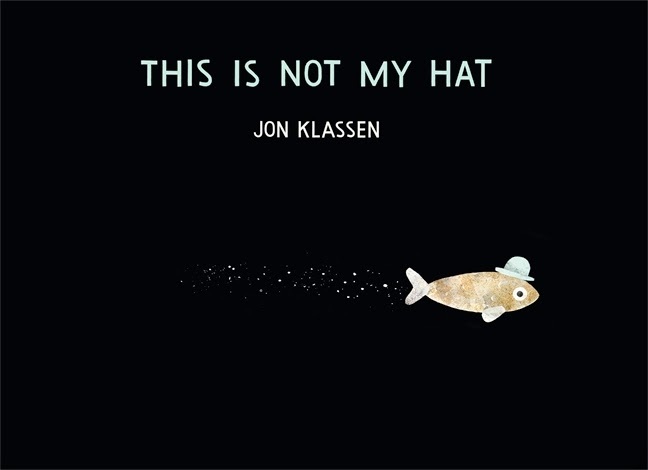 This Is Not My Hat by Jon Klassen Wins Kate Greenway Medal for Illustration from Candlewick Press. Note: "Published by the Walker Books Group – including Candlewick Press in the U.S. and Walker Books in the U.K. – Jon Klassen’s This is Not My Hat will go into the history books as the first ever title to win both the U.K.’s highest illustration honor with the Kate Greenaway Medal, and also win the most prestigious award for children’s book illustration in the US, the Randolph Caldecott Medal, which was awarded in 2013." Bid to Win a Phone Consultation with Literary Agent Anna Olswanger in conjunction with the Born Free Foundation's online auction. Note: "...an international wildlife charity that works throughout the world to stop individual wild animal suffering." 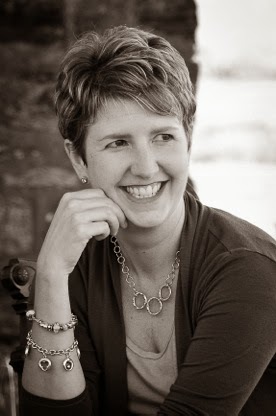 According to Publishers Weekly, "After nine years at Liza Dawson Associates, Anna Olswanger has formed her own agency, Olswanger Literary, LLC. She and Liza Dawson Associates will continue to partner on selected projects." 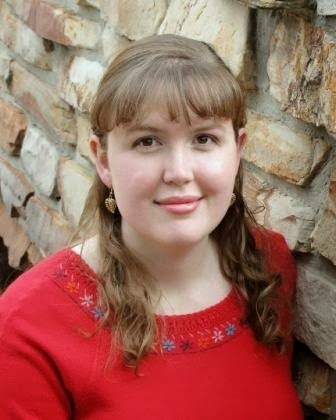 Her focus will be picture books (author-illustrators only), middle grade fiction, and adult nonfiction. 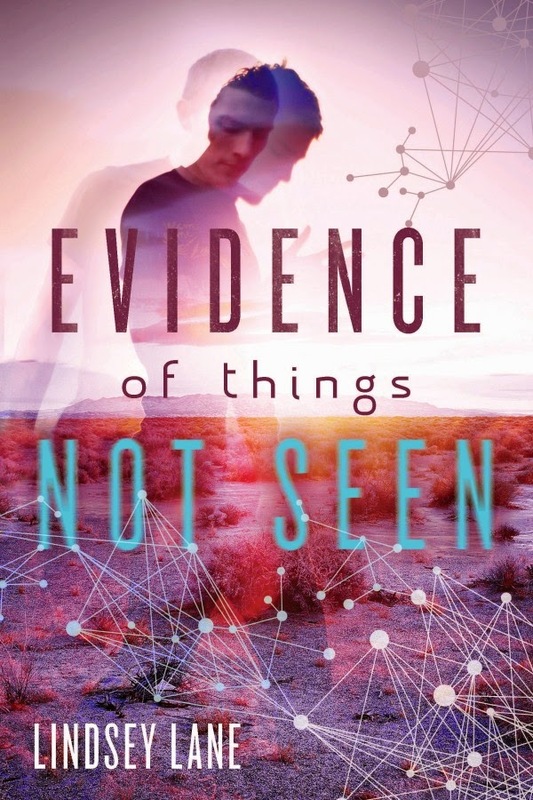 The Real Meaning of "Show, Don't Tell" by Martina Boone from Adventures in YA Publishing. Peek: "Show over tell begins at the scene level--not at the sentence or paragraph level." 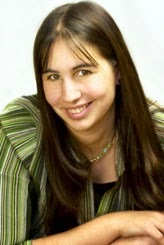 Q&A with Debbie Reese of American Indians in Children's Literature by Marieke from DiversifYA. Peek: "Biggest challenges I deal with are related to an overall lack of knowledge about who we were, and who we are." 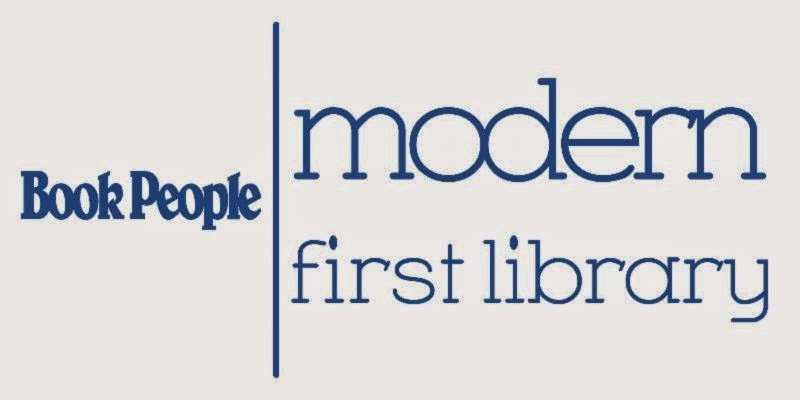 BookPeople's Modern First Library Program by Chris Barton from The Bartography Express. Peek: "So we have put together some modern library starter kits to pair classic picture books that will never go out of style with a selection of other favorites that reflect the vibrant, global society of the 21st century. Perfect for baby showers or special occasions, we think these bundles make wonderful gifts for young readers ready to expand their collections or little ones just getting started. Come check out our display in the children's section." Note: BookPeople is an independent bookstore in Austin, Texas. How Do You Reveal Character? by Brian Yansky from Brian's Blog. Peek: "So revelation of characters, in my humble opinion, should be shown through the action they take in the various situations that the story requires them to move through." Speech! Speech! by Varian Johnson from Quirk & Quill. Peek: "I’m a junkie for speeches as well, especially author acceptance speeches (especially when I’m struggling with my own writing). Whether it’s for the Newbery, Printz, Boston Globe-Horn, or whatever, I love hearing authors talk about their process, or why they were drawn to write a book, or how, even with past success, each new book has its own traps and pitfalls." Q&A With Estela Bernal About Can You See Me Now? 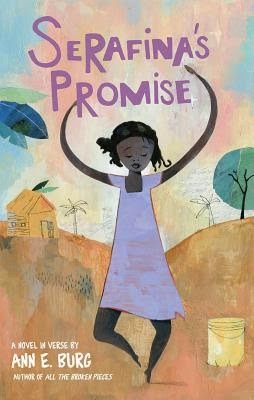 by Edith Campbell from Latinos in Kidlit. 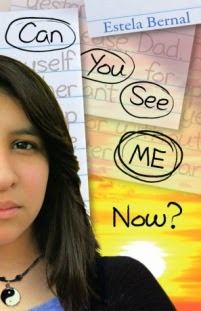 Peek: "Estela Bernal made her debut as an author this past May with Can You See Me Now? 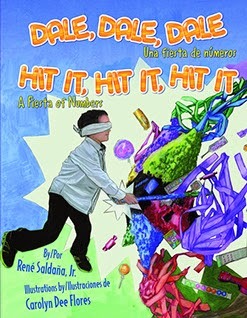 (Pinata/Arte Publico)." Can I Bend Submission Rules for My Novel in Verse? by Deborah Halverson from DearEditor.com. Peek: "No one will think you’re trying to cheat if you single-space poems in a novel-in-verse submission." Happy Birthday, Helen Keller! by Carli Spina from The Horn Book. Peek: "To this day, Helen remains a popular subject for children’s literature with several new books about her life being released in the last few years." Five Surprising Ways Regret Can Deepen Your Hero's Arc by Angela Ackerman from Writers Helping Writers. Peek: "It’s grieving for what could have been. Even if there was nothing you could have done. But it also encompasses guilt, remorse, and contrition." The winners of Abby Spencer Goes to Bollywood by Varsha Bajaj (Albert Whitman, 2014) were Nikki in Texas and Deena in New York. 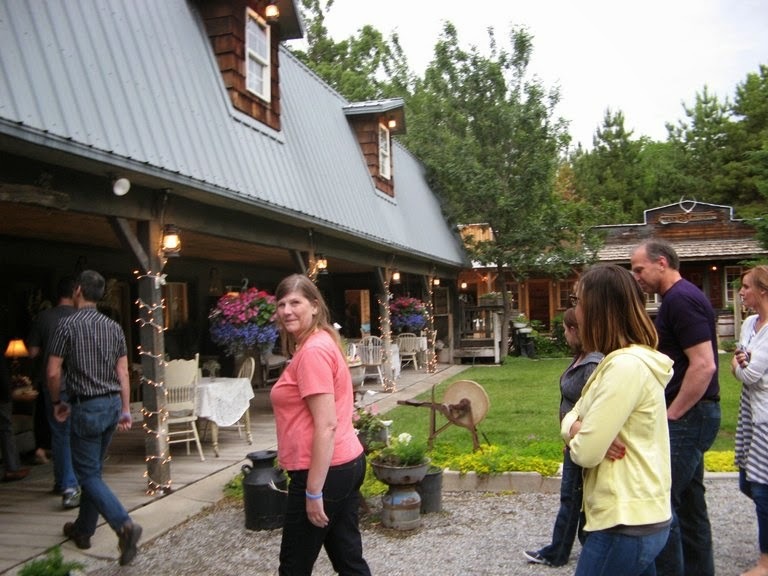 The winners of Little Green Men at the Mercury Inn by Greg Leitich Smith (Roaring Brook, 2014) were Robin in North Carolina and Jennifer in California. Enter to win Call of the Klondike by David Meissner (this year's Golden Kite Award winner in nonfiction) from Lee Wind at The Official SCBWI blog. Note: post also includes author interview. "Because of the reality—or at least the perception of it—that only certain kinds of books will be championed, writers set aside stories, editors reject submissions, marketing dollars are elsewhere allocated, and, ultimately, young readers are presented a largely monochromatic sliver of the literature—that should rightfully be varied and diverse—and are missing out on diverse heroes and stories that could propel them to a lifetime of avid reading." 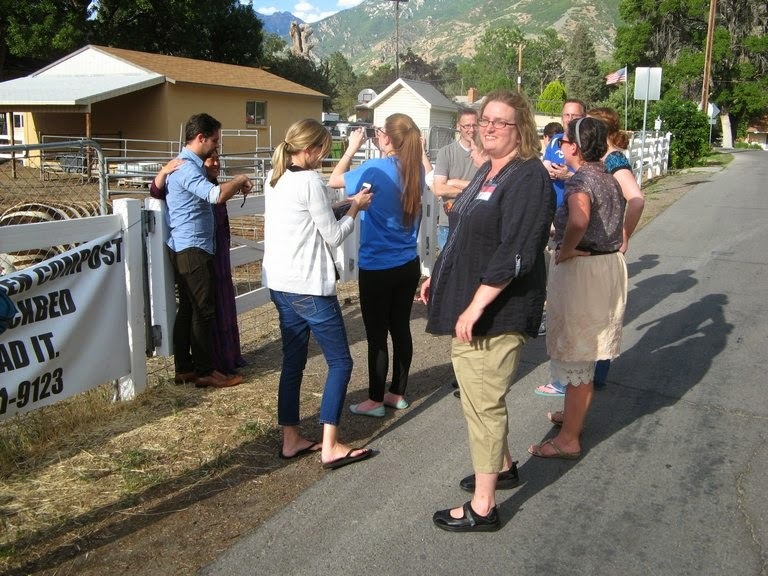 Last week's highlight was teaching one of the advanced novel writing workshops at Writing and Illustrating for Young Readers in Sandy, Utah. (I also gave two speeches and participated in a panel discussion.) This was my second time at WIFYR, and I absolutely loved the experience. 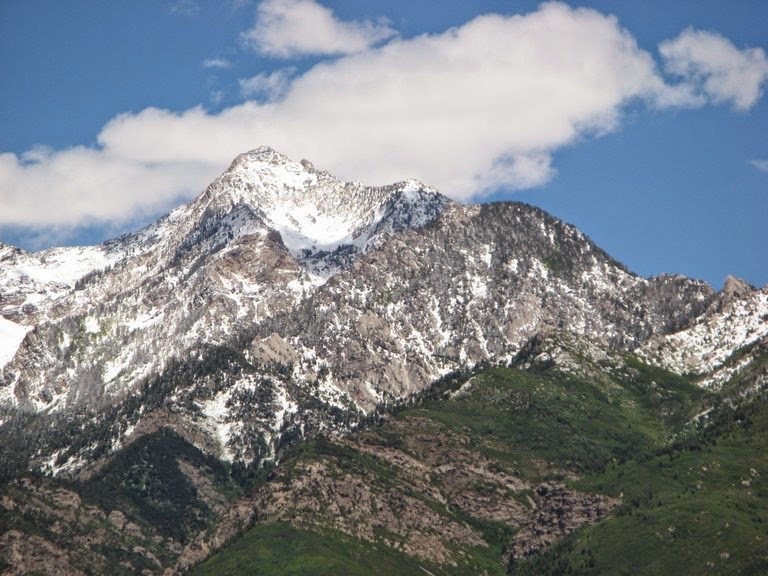 The Salt Lake City area is gorgeous--and, yes, it did snow (and rain)! 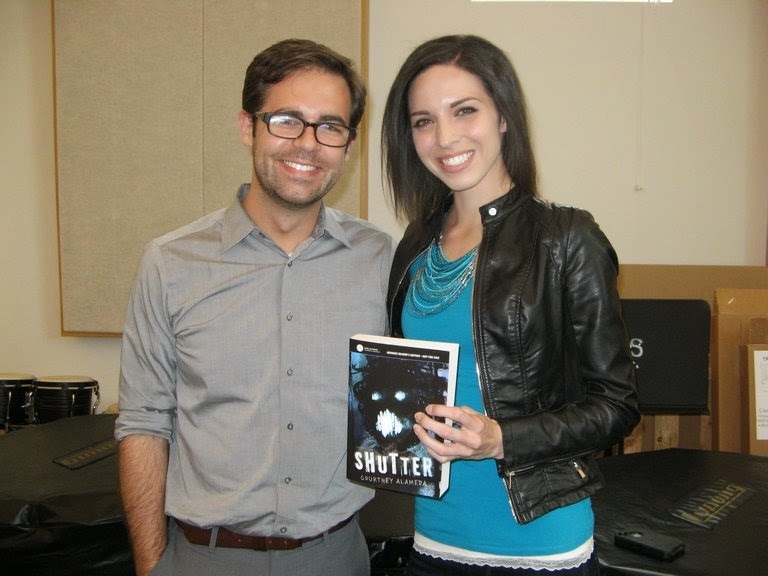 Soon-to-debut Courtney Alameda, with her agent John Cusick of Greenhouse Literary! WIFYR Queen & author Carol Lynch Williams at conference sponsor Barbwire and Lace. 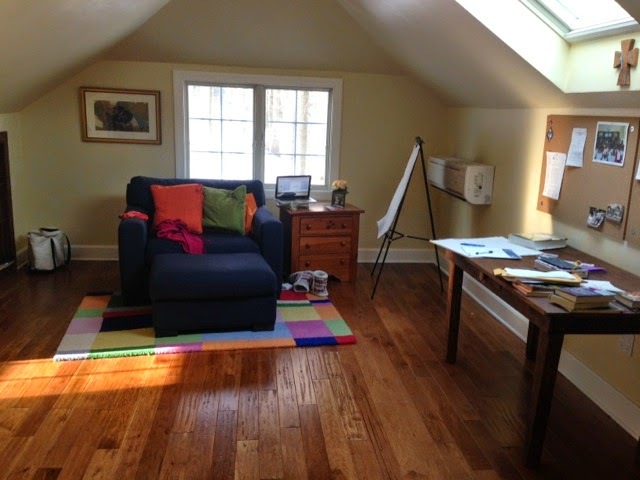 Advanced Novel Workshop classroom; photo by Corrinne Lewis. Miss y'all already, WIFYR advanced novel writing class! Don't miss Greg Leitich Smith's photo report on WIFYR! Speaking of Greg, the buzz continues to build for his new release, Little Green Men at the Mercury Inn (Roaring Brook, 2014). Greg and I celebrate with little green men! Ms. Yingling Reads: "This has some very good twists and turns, so I don't want to give any of those away. Keep a close eye on Mrs. Fleance, though-- never underestimate a woman in a flowered bathing cap!" 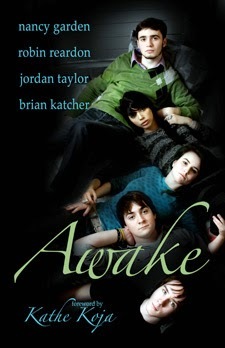 The ABC Writers Guild: "The characters are well- rounded, full of paranoia and angst, and funny. That’s what really makes the book a great read: it’s funny and fun." And Sukasa Reads gives the novel 4/5 stars! 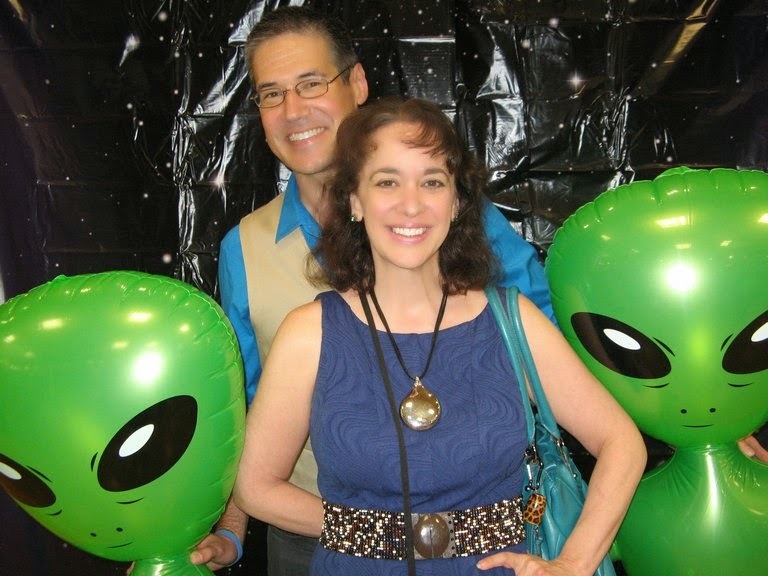 Cynthia and Greg Leitich Smith will speak at the Writers' League of Texas 2014 Agents and Editors Conference on June 28 at the Hyatt Regency Austin in Texas. Join Cynthia Leitich Smith in discussing Feral Curse (Candlewick, 2014) with the YA Reading Club at 11 a.m. June 28 at Cedar Park Public Library in Cedar Park, Texas. Research for Fiction, Non-fiction and Historical Fiction Writers from 8:30 a.m. to 4 p.m. Sept. 13 at The Austin Centre (3809 South 2nd St.) from Austin SCBWI. Speakers authors Cynthia Levinson and Greg Leitich Smith, author-librarian Jeanette Larson and Carolyn Yoder, senior editor at Calkins Creek Books, the U.S. history imprint of Boyds Mills Press, and senior editor at "Highlights." 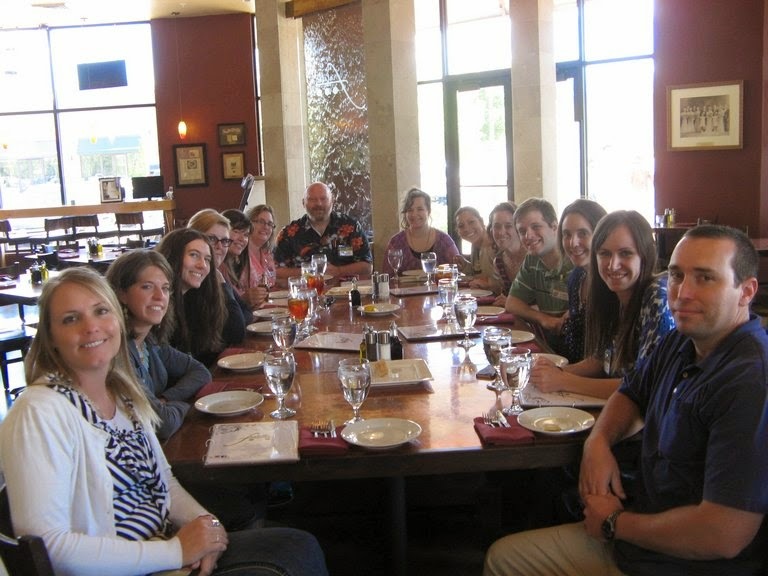 I heard about the Utah Arts Council Original Writing Competition from one of my grad school professors. 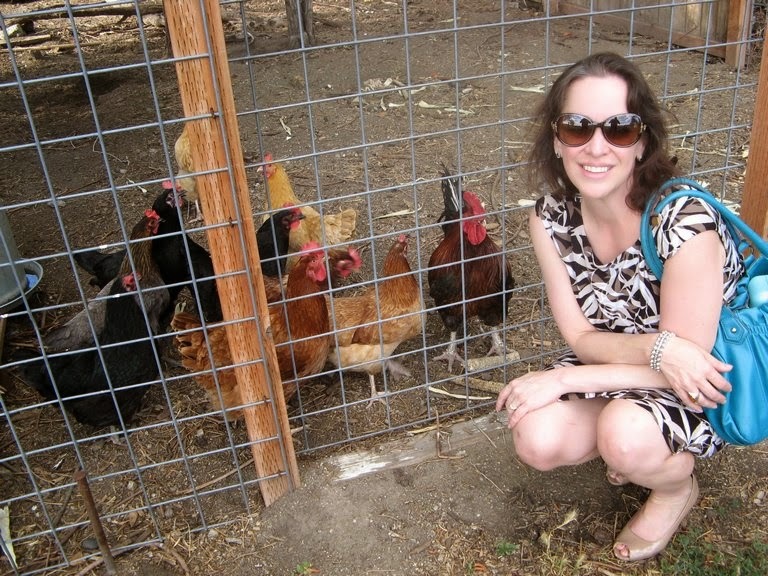 This was in 2007--I’d been writing novels for seven years. I had five novels drafted and had been sending books out for years and receiving form rejections. So when I heard about the Young Adult Novel category, I didn’t have high hopes. But my policy was to send things out because books that sit in drawers don’t get published (or win awards), so I shipped off the manuscript, made a note in my submission-tracking spread sheet, and forgot about it. Several months later my phone rang. I still remember where I was standing--I was outside the door to my apartment, and my fiancé had just arrived to pick me up. I answered my phone while he opened the door to the car, and the nice man on the other end of the line told me that I’d won first place. I must have sounded dazed. My policy was to send things off and not think about them again until the rejections came in, so I had quite literally forgotten about the submission. 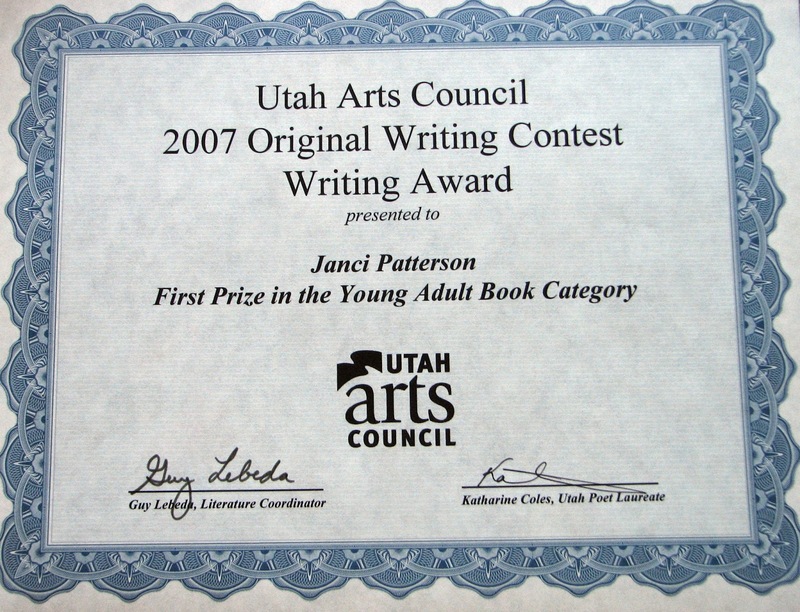 And here was the kind person from the Utah Arts Council, telling me that my forgotten unpublished novel had been chosen as the best submission they received that year. The category is now a first-novel contest, but at the time it wasn’t. That meant that the judges had a pool of novels, some of which had been written by published novelists. This was my first success as a writer. I wrote books for seven years, without one single success. Nothing got published. No one paid me. I believed in my work; I believed in what I was writing. But standing outside my front door that day, watching my fiancé open up the car, I received my first external validation that what I was doing wasn’t just a waste. That my writing, which meant something to me, could be plucked out of the slush by someone with power and chosen as best. There was a cash prize, which represented the very first money I was ever paid for my work. More important than that was the editorial letter I received from one of the judges, offering suggestions for how I might improve the book for publication. But most of all, what this represented to me was hope--hope that if it happened once, it could happen again. Winning that writing contest was like a step through the doorway into the publishing world. A few months later, I received an email from an agent who had offered representation to the previous winner of that same contest and promptly combed the list of winners, looking for potential clients. I signed with that agent a month later. The journey for that book has been long. 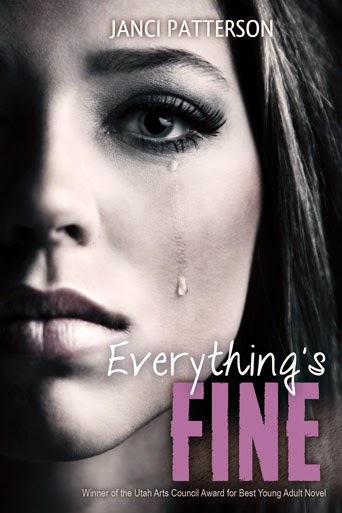 It’s only now, another seven years later, that Everything's Fine (with a shiny new title) is at last available to readers. Publishing is a process--a slow one. So the best thing you can do for yourself and your work is to take advantage of every opportunity that comes along. You never know which one will mark your first success. 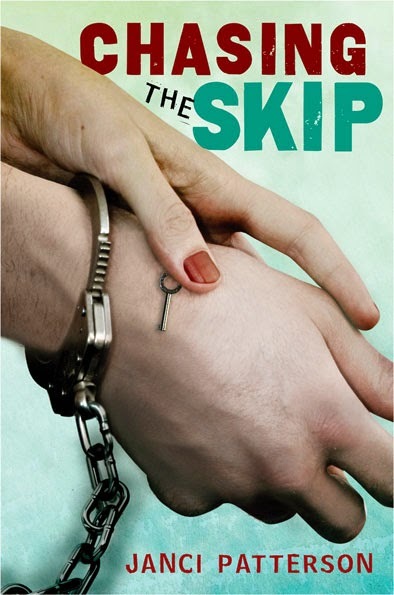 See also Janci's October 2012 New Voices interview in celebration of her debut novel, Chasing the Skip (Henry Holt). Peek: "I had a deadline last Thanksgiving, so I wrote in my in-laws' basement. I've written in the car on road trips, and at parks, and at the library. I've found that where there's a will to fit in some writing, a space can be discovered in which to do it." The youth literature community is deeply saddened by the sudden death of Nancy Garden, age 76, on June 23. 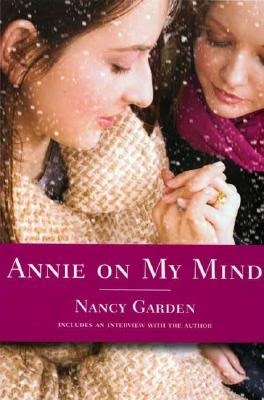 Nancy was a groundbreaking author, perhaps best known for her YA love story, Annie On My Mind (FSG, 1982). I'm honored to say that she graced this online platform with her wisdom and, more personally, this author with her enthusiasm, warmth and support. My sympathies to her friends, family, colleagues and readers. Tell us a bit about your writing background. How did you get started writing for children? What were your earliest influences? I come from a family of book lovers, especially on my mother's side. I was read to as a child, and my favorite Christmas and birthday presents were always books — well, maybe except for the Christmas I got my first puppy! When I was around eight years old, I started writing for my own pleasure outside of school, and I never stopped, no matter what else I did or what else I was interested in. When I was little, I wanted to be a veterinarian, and when I was older I wanted to be in theater (and was for awhile), but I continued to write. I think I'm one of those people who has to write. Why did you elect to write for children and teens? Because I like children and teens so much and feel they're important, special people. There's something very exciting about a person who's in the process of becoming, of forming his or her identity. I think another reason is simply my love of children's books — and YA books, although there were no YAs as such when I was growing up. Some of the best, most exciting, and most innovative writing, I think, has always been in the children's/YA field. My parents were always very supportive of whatever I did, and of course that helped enormously. English teachers kept telling me I was a good writer; I had an English teacher in junior high who said she thought I might become a writer, and a high school English teacher who tried to convince me to become a writer instead of an actress and all around theater person, which I was then in the process of becoming. When she saw me in a community theater play, she begrudgingly said she guessed it would be okay if I went into theater — but she turned out to be right after all about my becoming a writer! The usual ones: rejection slips, periods of wondering if anyone would ever buy my work — or, later, in a couple of bleak periods, if anyone would buy my work again. What draws you to write stories connected to gay and lesbian themes? Why do you feel such stories are important to young readers? When I was growing up as a young lesbian in the '50s, I looked in vain for books about my people. There were none for kids, and the few I knew about for adults were always out of the library, which I later realized was probably a subtle (maybe "backhanded" would be a better word!) form of censorship. I did find some paperbacks with lurid covers in the local bus station, but they ended with the gay character's committing suicide, dying in a car crash, being sent to a mental hospital, or "turning" heterosexual. 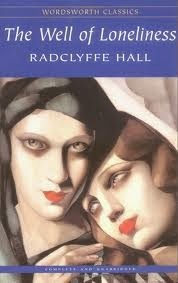 Eventually I did find Radclyffe Hall's The Well of Loneliness, written in England in the 1920s, and tried for obscenity there and in the U.S.; as a result it was banned in England for years, but not here. It's melodramatic and somewhat overwritten and it ends sadly — but it does have a healthy, honorable lesbian (or perhaps transgendered) main character, and it shows that gay people are more sinned against than sinning. It does end sadly, but with an impassioned cry for justice and understanding. I read that book many times as a teenager, and I vowed that someday I'd write a book for my people that would end happily. 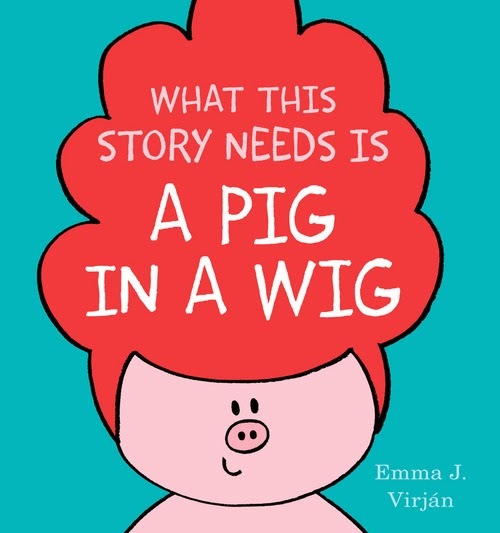 Why do I feel such stories are important to young readers? I think kids in every minority need to see people like themselves in books; that's an acknowledgment of their existence on this planet and in this society. Minority kids often feel invisible in the world, GLBT (gay, lesbian, bisexual, and transgendered) kids perhaps most of all, even though that, thank goodness, is changing. And straight kids need to see that GLBT people aren't monsters and that we share many feelings and experiences with them despite our difference. Annie On My Mind has been challenged in schools and libraries. You've talked about the importance of engaging people who would ban books in proactive conversation. Would you care to expand on this thought? Sure. Although attempts at censorship may be power plays when initiated by political leaders, many of the ordinary people who try to ban books do so out of sincere religious or moral conviction — for example, most of the attempts to ban the Harry Potter books are the result of a sincere belief that sorcery is truly evil and that reading about wizards is genuinely harmful to children. In the same way, many attempts at banning books that are about homosexual characters and issues are also motivated by sincere beliefs that such books are harmful — that they will encourage young people to "become" homosexual, and that homosexuality itself is evil, dangerous, sick, etc. Nothing is served, I think, by demeaning those who truly believe that books should be banned, or by arguing against them in a hotheaded way. Conversely, everything is served by reasonable dialogue when that's possible, and by making the point that although parents have every right to control what their own children read, they have no right to control what other people's children read. Everything is also served, I think, by pointing out the importance of the First Amendment and the danger of eroding it. In a society without the protection the First Amendment gives us, sure, you'd be able to ban books that I like but you don't — but there'd be nothing to stop me from turning around and banning the ones you like. It's important to remember that, and also that one of the first steps toward Nazi control of Germany was book burning. In the case of people who would ban books with homosexual content, I think it's also important whenever possible to try to inform those people of what homosexuality really is and isn't, and of the fact that one doesn't "become" homosexual because of reading a book. After all, gay kids read books about straight people all the time and they don't "become" straight as a result! 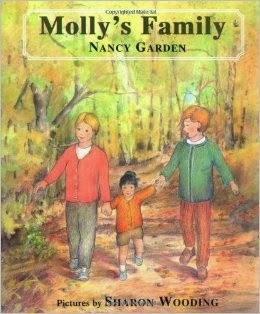 See also Interview with Children's-YA Book Author Nancy Garden, The Story Behind The Story: Nancy Garden on Molly's Family, and Author Update: Nancy Garden. In Remembrance: Nancy Garden by Victoria Brownworth from Lambda Literary. 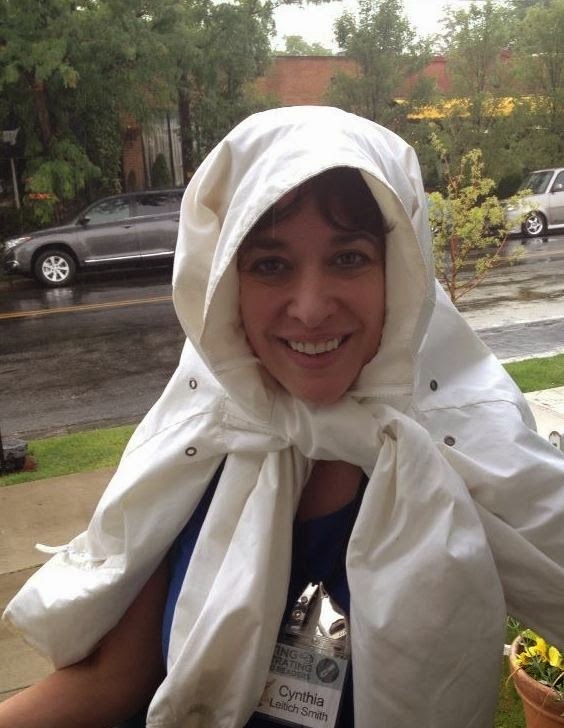 Peek: "Nancy Garden, author, editor, LGBT activist, former theater maven and teacher, died suddenly on the morning of June 23 of a massive heart attack. 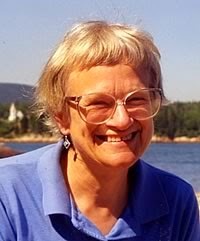 She was 76.... She did picture books, middle-grade books and books for teens and the work ranged from humorous picture books, serious literary fiction, horror, mystery, historical fiction to non-fiction." Nancy Garden's Annie On My Mind: A Second Look by Roger Sutton from The Horn Book. Peek: "...all of this — a happy ending, a non-problem novel, a book that was about 'us,' not 'them' — was new and a cause for celebration, but it never would have gotten off the ground had Annie on My Mind not been such a blissful soak of a read." When I visit classrooms and talk about storytelling, I often discuss the “seeds” of stories. And how the best seeds come from real moments in our life; moments of great joy, or sadness, fear or confusion. They’re the nuggets of truth that often inspire a story, or get woven into one, adding depth, color and perhaps most importantly, emotion. The truth can be dangerous for fiction writers. Too much of it, and our fiction becomes nonfiction. Too little, and we may find ourselves with a story that lacks emotional punch. As authors, our goal is to create the best stories possible. And let’s face it, the truth isn’t always more interesting than fiction. That can mean letting go of what actually happened and focusing on what these fictional characters in a fictional setting, would do. All with the intent to move the story along and be true to its core. 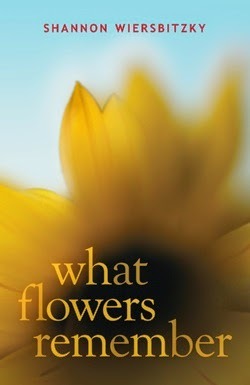 I struggled with this dilemma when writing my new novel, What Flowers Remember (namelos, 2014). In it, a young girl is faced with the reality that an elderly neighbor she loves has been diagnosed with Alzheimer’s disease. 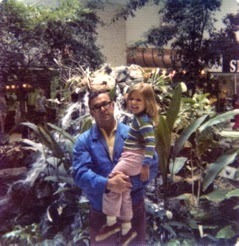 My own grandfather had the disease, and he forgot me, along with everyone else he loved and who loved him in return. There was a lot of truth I could have drawn from. Moments when we battled the disease and sometimes my grandfather, too, as his personality, as well as his physical and mental abilities changed. In the end, I included only one truth. The emotion of being forgotten. And the single sentence my grandfather said to me the day I realized he didn’t know me anymore. I gave that line to the character Old Red. He says it to Delia. The rest of my truth is for me. Not for my readers. My character Delia has her own situations to contend with. Her first love, a budding new business, and of course, Alzheimer’s. How can she save his memories? That is what she wonders. And that is what she sets out to do. As you work on your own stories, focus on the truth (or truths) that are most critical, then give the rest away. Your characters will talk to you over time. They will help you fill in the rest. And your story will be better for it. Shannon Wiersbitzky is a middle-grade author, a hopeless optimist, and a lover of the outdoors. 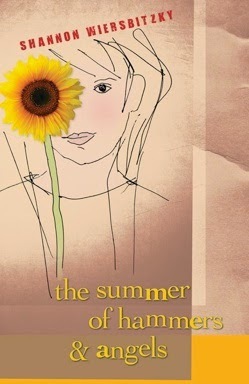 Her first novel, The Summer of Hammers and Angels (namelos, 2011), was nominated for the William Allen White award. Born in North Dakota, Shannon has called West Virginia, Florida, Minnesota, North Carolina, and Michigan “home” at some point in her life. 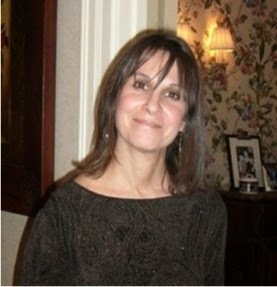 She currently lives in Pennsylvania with her husband, two sons, one rather dull fish and her always entertaining dog Benson. Find her at facebook, Twitter, and Goodreads. Most folks probably think gardens only get tended when they’re blooming. But most folks would be wrong. According to the almanac, a proper gardener does something every single month. Old Red Clancy was definitely a proper gardener. That’s why I enrolled myself in the Clancy School of Gardening. If I was going to learn about flowers, I wanted to learn from the best. Delia and Old Red Clancy make quite a pair. He has the know-how and she has the get-up-and-go. When they dream up a seed- and flower-selling business, well, look out, Tucker’s Ferry, because here they come. can’t be cured. He’s forgetting places and names and getting cranky for no reason. As his condition worsens, Delia takes it upon herself to save as many memories as she can. 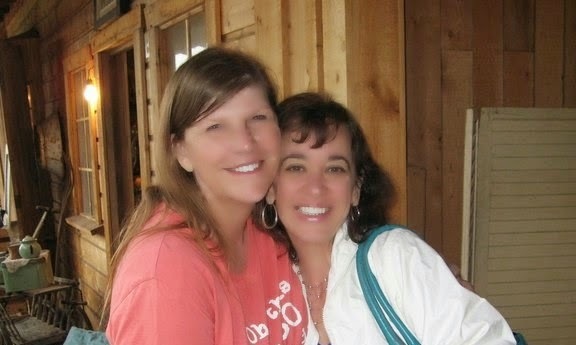 Her mission is to gather Old Red’s stories so that no one will forget, and she corrals everybody in town to help her. What Flowers Remember is a story of love and loss, of a young girl coming to understand that even when people die, they live on in our minds, our hearts, and our stories. A portion of the proceeds from the sale of this book are donated to the Alzheimer’s Association. Sometimes when I visit schools I bring a beat up old pot filled with trinkets and toys, gadgets and gizmos, photographs and mementoes. My mother's sister gave me the pot when I first went out on my own. She and my mother subscribed to the culinary philosophy if you can read, you can cook. I could read (I read a lot!) so my aunt was convinced that my watery sauce was the result of an unsuitable pot. My sauce did improve, but I used my new pot so often that it became worn-out and worthless. The handles were still intact but the sides were warped and the bottom, rounded. The pot literally rocked. I couldn't use it for cooking, but since it had sentimental value, I didn't want to throw it away. 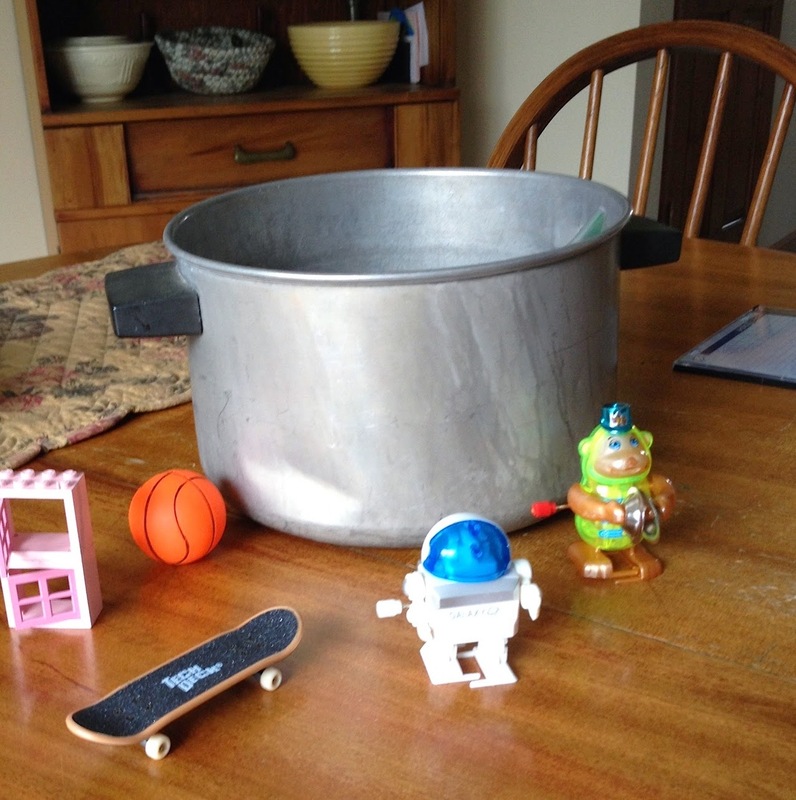 Eventually the pot became a catch-all for random objects that represented my recipe for writing. I began to bring the pot with me on school visits. There's a small wind-up robot to discourage robot-writing (simply rearranging notes) and colorful streamers which remind me of an after-the spring-rain rainbow (like watercolor streamers hung from the clouds to dry). There are marbles in a tin (what does the rain sound like to you? ), a mini skateboard, some pressed flowers, a wooden doll family. Everything in the pot symbolizes something--characters, conversations. Research. Memories. Just about everything that goes into writing a story jangles in my pot. During my presentation, students and I explore each symbol. We even talk about the pot itself. Together we've discovered that things cooked in a pot, unlike those quickly sautéed in a frying pan take a long time to simmer. Flavors blend slowly but in time, the toughest meat becomes tender. Stories happen that way too. On January 12, 2010, Haiti suffered a catastrophic earthquake. My pot overflowed with photographs of dazed and frightened people, with non-stop news reports and devastating headlines. Haiti, the Poorest Country in the Western Hemisphere, Haiti, a Country in Ruins. I realized how little I knew about Haiti, and began to research the tiny island nation. What I discovered surprised me. Haiti has had a tumultuous but amazing history. It is a country rich in tradition and graced by a resilient and hopeful people. Soon my pot held Haitian history, Haitian proverbs, and dozens of photographs of pig-tailed girls and wide-eyed boys. I began to understand that the faces lined with worry and scarred by poverty were also marked with pride and resiliency. For me, writing is about letting my research and reflections simmer together. If I'm lucky, characters begin to emerge. A story unfolds. You beat the drums and you dance again is my favorite Haitian proverb, one that best captures the spirit of the Haitian people. It's a proverb which continually rose to the top of my simmering pot and became the defining ingredient my verse novel, Serafina's Promise (Scholastic, 2013). ! Every writer has his or her own pot ~ what's cooking in yours? Plotting Can Be for You by Susanne Winnacker from Adventures in YA Publishing. Peek: "So despite the fact that I hated going into things without a plan, I tried to write my book without an outline. It would be fun, right?" Everything Is Going to Be Okay: On Writing & Anxiousness by Leila Austin from YA Highway. Peek: "A message from the kind, sensible part of my brain to the irrational, ugly part. A reminder to let go of all the things I carry around when I sit down to write, because my brain can’t work on my novel if it's working on a hundred things which are not my novel." To Pseudonym or Not to Pseudonym by Catherine McKenzie from Writer Unboxed. Peek: "...there are lots of people who do just that—publish under a pseudonym—for a myriad of reasons. It’s a question that’s been on my mind lately because my next WIP is somewhat of a departure for me." Foreign Rights for Dummies by Hilary Wagner from Project Mayhem. Peek: "Now this isn't a step-by-step of the process, it's just my own personal experience, but I hope it can give a little enlightenment for anyone who's been wondering how it goes down or may be in the process themselves." Tearing Down Walls: The Integrated World of Swedish Picture Books by Laura Reiko Simeon from Lee & Low. Peek: "...recent Swedish picture books that show ethnic diversity involve conflicts about ordinary, universal topics such as sharing." See also Making Our Own Market: Reading is Fundamental from The Brown Bookshelf. 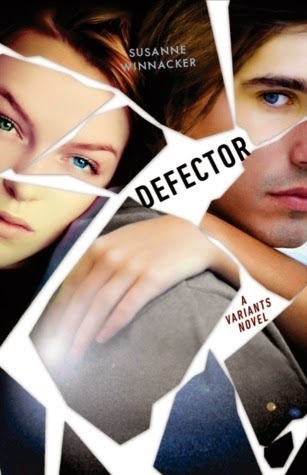 Cover Reveal & Interview with Courtney Alameda from Hypable. Peek: "Micheline Helsing is a tetrachromat—a girl who sees auras of the undead in a prismatic spectrum. As one of the last descendants of the Van Helsing lineage, she’s trained to destroy monsters both corporeal and spiritual." Write What You Love & Stay True to Your Passion by Katherine Longshore from Adventures in YA Publishing. Peek: "Never say never. And it can pay off to write what you love." Worldbuilding by Stacy Whitman from The Open Book at Lee & Low Books. Peek: "...revealing enough about the world that you create interest and intrigue, but not too much." 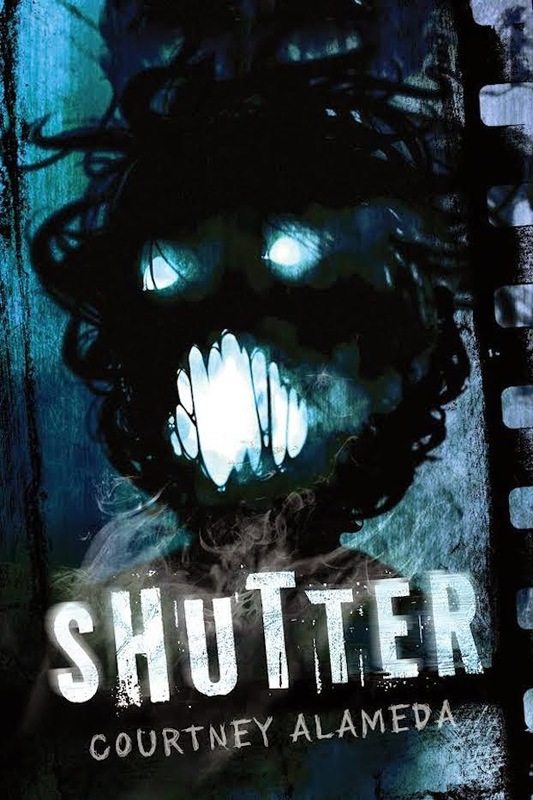 See also ARC Giveaway of Shutter by Courtney Alameda from Hypable. 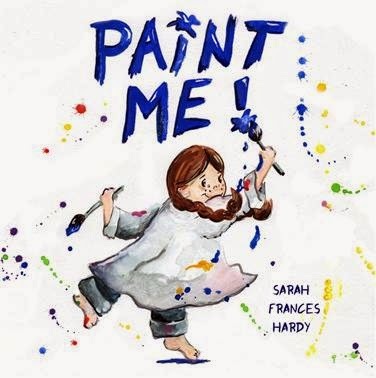 Author-Illustrator Sarah Frances Hardy on Paint Me! See the full Middle Grade Mayhem Event Report! 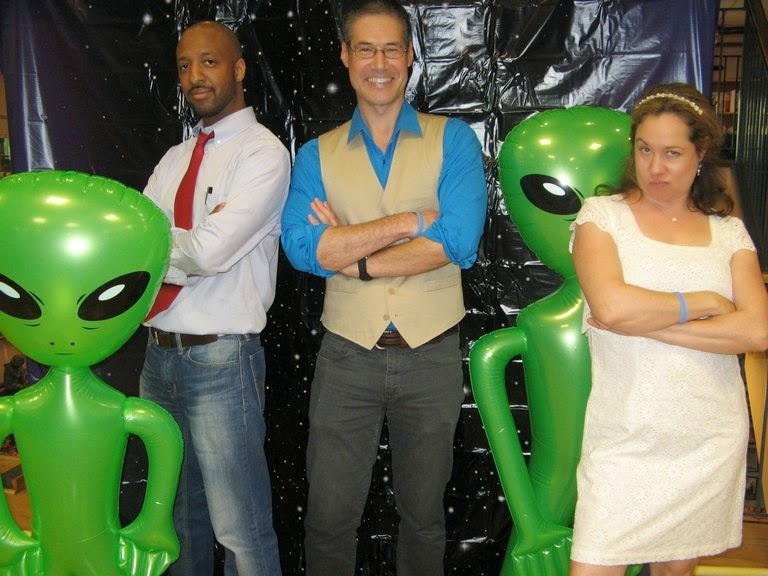 This weekend's highlight was Middle Grade Mayhem, a joint launch event featuring authors Varian Johnson (The Great Greene Heist (Arthur A. Levine Books)), Greg Leitich Smith (Little Green Men at the Mercury Inn (Roaring Brook)), and Jennifer ("Jenny") Ziegler (Revenge of the Flower Girls (Scholastic)) at BookPeople in Austin! Busy teaching, hence this more-abbreviated-than-usual Friday roundup! It's been rainy this week at Writing and Illustrating for Young Readers in Sandy, Utah, but I'm having a great time (more on that to come)! Also, the sun came out yesterday! Congratulations to fellow Austinite Anne Bustard on the sale of her debut novel, Anywhere But Paradise (for middle graders), to Andrea Cascardi at Egmont! Carolyn & Lupe AKA "Team Flores"
Although my daughter, illustrator Carolyn Dee Flores, and I have never worked together on a book, we hope to someday. We team together when we make joint presentations and provide the moral support for each other. CDF: What is the most surprising aspect about being from a kidlit family? LR: I don’t think it’s surprising at all. We love books! Before my firstborn (you) even arrived, I spent money we could not really afford on a volume of encyclopedias that came with an entire set of children’s books. That was one of the best investments I made. CDF: What is the most interesting thing you have learned about illustrating a picture book because your daughter is an illustrator? LR: I found out how hard and dedicated the illustrators work to bring a writer’s text to life. I’ve watched the enormous hours of research that go into creating just the right art, images, and scenes that will make the book come full circle. I’ve learned that an illustrator reads and rereads the writer’s manuscript until they come up with a concept that makes the book sparkle. Then they spend months creating and recreating until they are satisfied with the final art. CDF: How does your family (past and present) affect what you write about and how you approach your craft? LR: I come from a large family of eleven brothers and sisters. There was no money for books when I was growing up. But we had storytellers—my father and my grandmother. There’s an art to storytelling, I think. My siblings and I were mesmerized on those evenings on the porch listening to the cuentos about legendary myths. The stories sparked my imagination. I hope to create an emotional experience for the readers of my books and a chance for their imagination to soar like mine did on those magical nights. I like to think of myself as a storyteller. CDF: What is your latest work? LR: A YA historical fiction set in the late 1930s in San Antonio, Texas. I feel passionate about this story because it comes from my background and culture. I believe this gives authenticity to my piece. It takes place during the aftermath of the Great Depression and is reminiscent of the Lower East Side New York sweatshops that were in operation at the turn of the 20th century. I’ve done extensive research, both primary and secondary sources. I feel blessed that I live in the city where the story takes place because I’ve been able to physically visit some of the places that I write about in my story and conduct interviews. CDF: What is the hardest thing about working on a novel as opposed to a picture book? LR: With a picture book, you’re limited on word count so every word must carry its weight. With a novel, you have more freedom to develop your characters, the setting, dialogue, etc. The hardest thing for me in writing a novel is the middle part. I have to make sure it doesn’t sag. CDF: How are the two processes similar? How do the two processes differ? LR: The storyline is what is similar. With only 32 pages in a picture book, you still need a story. With a novel, you can thread your storyline with expanded scenes, action, dialogue, and character development. What matters most is a good story. 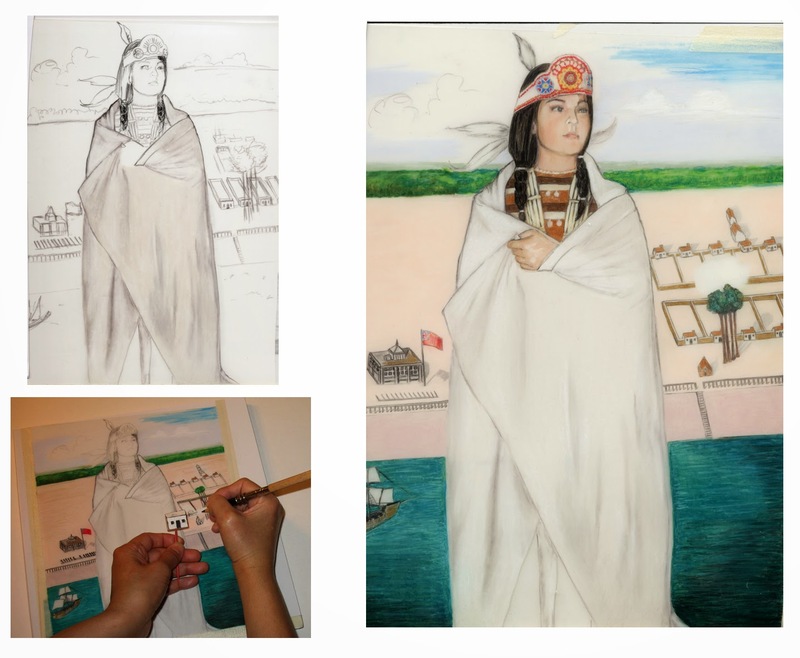 LR: You have illustrated picture books as well as a middle-grade book about historical figures (Daughters of Two Nations, written by Peggy Caravantes (Mountain Press, 2013)). What is the difference? 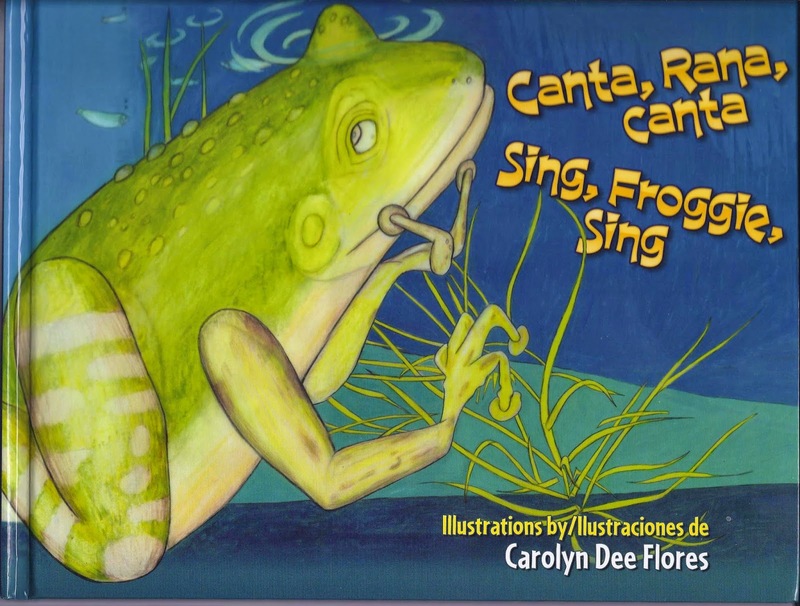 CDF: Canta, Rana, Canta/Sing, Froggie, Sing (Piñata, 2013) and Dale, Dale, Dale/Hit It/Hit It/Hit It, written by René Saldaña Jr. (Piñata, 2014) are my two bilingual picture books. 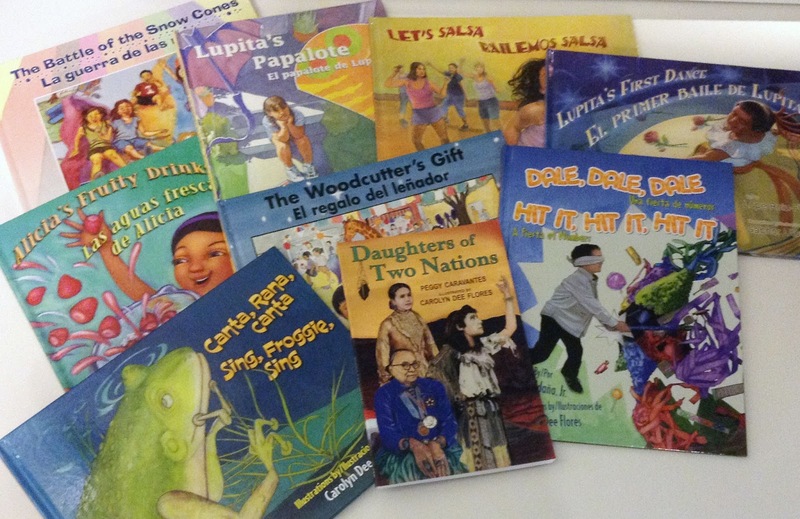 Daughters is a collection of biographies about nine Native-American women and is for readers ages fourth grade and up. I think the short answer to the question is that the pictures for each book differ in the same way that the text differs for each book. Every book is unique. In general, though, with picture books, the illustrations must be narrative, character-driven, and sequential. It’s all about the page-turn. A nonfiction history book for older readers requires illustrations that are authentic, factual, and absolutely accurate. With teens, however, you really want to create pictures that are also really intriguing and dynamic. Something, for instance, they would wear on a T-shirt. But, still, the emphasis must always be on the facts. With Daughters, I studied two different maps from the time period to get details for the exact placement of the houses in the background behind my portrait of Mary Musgrove - including where each gate was, and even the exact location of the flag. With Nancy Ward, I had to make sure there were no seams or stitches in her clothing, as she would've worn deerskin that was tied together. However, you cannot copy a copyrighted art piece. If a piece of clothing has a unique pattern, or a medal worn by one of the women is copyrighted, then I have to alter the image in order to include it in the book. I did my best to retain the authenticity. But it can sometimes be a complicated process. I focused on representing the dignity of the character of each one of these wonderful women, because I felt it was a privilege and an honor to draw them. And that led me. LR: What is your art style? What medium do you use? CDF: I am very conscious of my medium as an illustrator. In a way, your medium is your trademark. I started out as an oil painter, but I use Prismacolor colored pencil for all of my illustrative work … usually. Right now, I am painting in watercolor, because it best represents the tone and the period of the book I am working on. It is more organic. But, I am very true to drawing in Prismacolor. LR: Briefly walk us through from when you first get a manuscript to when you actually start drawing. CDF: If it is a picture book, the answer is easy: I read the text aloud at least 30 times, before I ever start to zero in on an image, even in my mind. It can be such a mistake, jumping in and sketching, before you truly understand the text and allow it to breathe. But the very second thing I do, for any book, is research. The day I get the contract, is the day I am off to the library. Even for a picture book, you still have to do research. For Froggie, which was a story about an underwater singing frog, I learned as much as I could about frogs, and also, as much as I could about singers. I surrounded myself with pictures of frogs and Pavarotti in my studio for nine months. You have to immerse yourself in that world. LR: When did you become an illustrator and why? What have you learned about the business of illustrating? CDF: I was an illustrator and a writer when I was born, before I knew I was anything, I think. I used to draw on my mother's curtains, and I carried books around with me before I could ever read. I would pretend I was reading them - not knowing they were upside down. The one thing I've learned about the business of illustrating is that there are many, many layers to this craft and, also many, many layers to this industry. It is such an adrenaline rush to be creative and see where it leads. Drawing, research, narrative, storytelling, style, design, composition, listening, craftsmanship, vision, rendering. It’s all fantastic! Ultimately, the greatest rush about working in the children's book industry is that as you work, you are always learning something new about people. There is not a day that goes by, that I don't just swoon on the new ideas I’ve discovered. LR: Do you think it would be hard working with your mother on a book? CDF: Since you are the one asking me this question, Mother, I'm going to have to be honest with you. It has always been my dream to work with you, Mother, on a book. We work very well together. Especially, this book that we are collaborating upon currently. I'm putting everything I have into it, because I believe in it so much! It is about Las Carpas, the Mexican-American tent circuses of the 1930s. I am just bowled over by how interesting these people were and how visually exciting this period in time was. We have both done a tremendous amount of research on the subject, and it has just come alive! LR: What advice would you give to aspiring illustrators? CDF: If you are older, join SCBWI. If you are a child, write your own book now. Every writer and illustrator I know, carries around with them the book they wrote when they were in second or third grade. You will treasure it always! 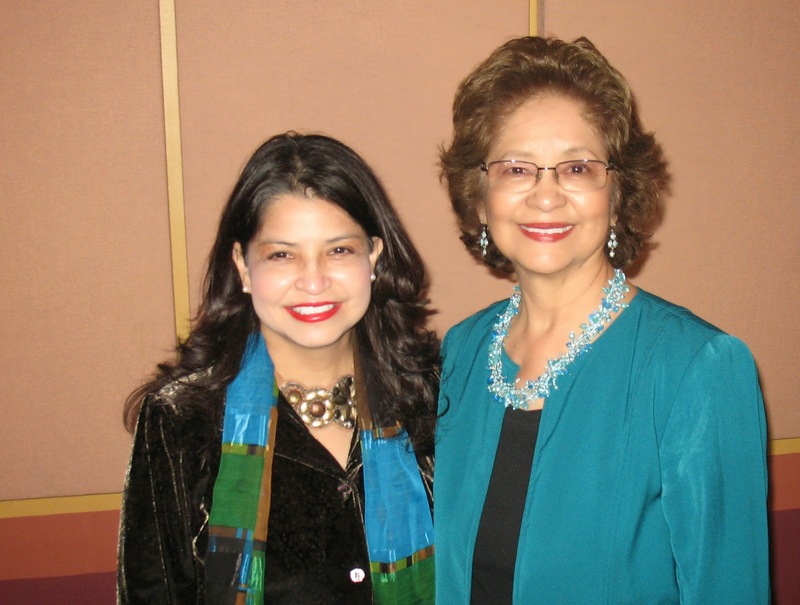 Carolyn Dee Flores and Lupe Ruiz-Flores are both represented by Mira Reisberg of Hummingbird Literary. 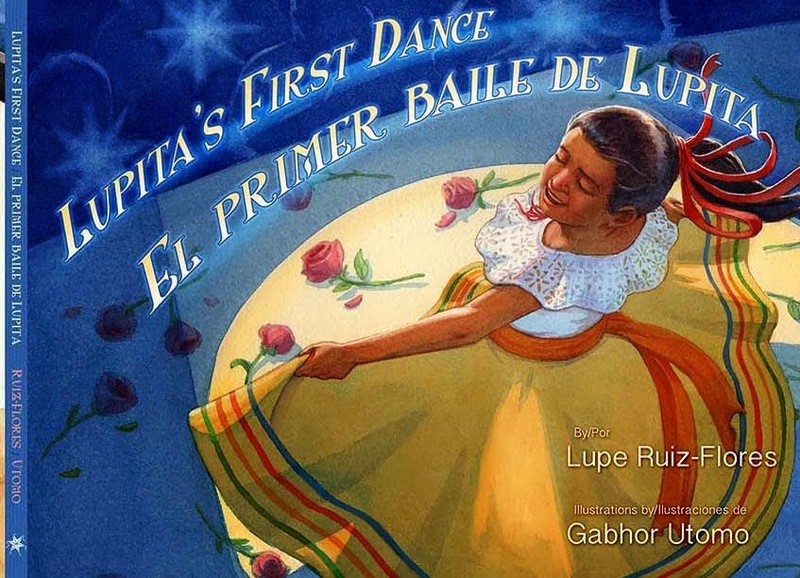 Enter to win an autographed copy of Lupita’s First Dance/El primer baile de Lupita by Lupe Ruiz-Flores, illustrated by Gabhor Utomo (Arte Publico, 2013). Author sponsored. Eligibility: U.S. 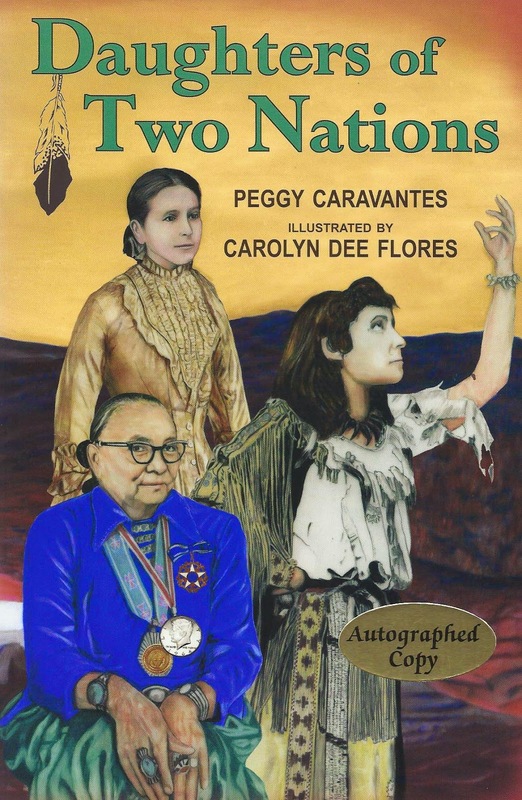 Enter to win autographed copies of Daughters of Two Nations, by Peggy Caravantes, illustrated by Carolyn Dee Flores (Mountain Press, 2013) and Canta, Rana, Canta/Sing, Froggie, Sing (Piñata, 2013). Author-illustrator sponsored. Eligibility: U.S.